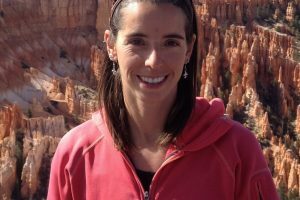 The Oboz Sawtooth scored only slightly higher than the La Sportiva Nucleo, but has certain features that perform better overall. It scored the highest in support and stability because of its rugged design and lower cut which allowed for more nimble walking over rocky terrain. One of the best aspects of the Sawtooth is that it is comfortable for all-day hiking, arguably the most important feature of a shoe. It has a wider toe box that provides enough room for the toes to splay but still felt comfortable for people with narrow feet. Some testers disliked the design, which was was more clunky than the other boots in the test, but in the end were won over by all the other great features of the boot. 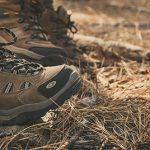 The Oboz Sawtooth stood out as being a very comfortable hiking boot after hiking all day. One of the factors that makes it more comfortable than most of the other boots tested is a slightly wider toe box. Having that extra space for toes to splay out makes a big difference in comfort when wearing a boot for a long day of hiking. The Sawtooth’s padded ankle and tongue added to the comfortable fit. The boots start to feel warm after hiking for a couple hours, which is common in footwear with a waterproof lining. 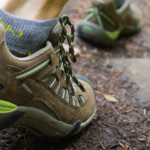 The nylon shank in the Sawtooth provides great support and torsional stability when hiking. The mid-cut boot sits perfectly on the ankle, providing a good amount of support while feeling less restrictive compared to a higher-cut option. Despite its slightly lower cut the Sawtooth actually feels more supportive compared to the Vasque Breeze, North Face Fastpack and Lowa Levante which all used less material around the foot. The Sawtooth features an aggressive tread and sticky rubber on the outsoles which resulted in good traction in a variety of conditions. 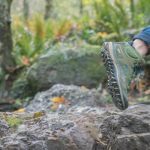 When hiking over rocky sections of trail, testers felt confident that the boot would provide a solid grip and never noticed any kind of slippage. As an added bonus, the Sawtooth also features an outsole graphic of a map of the Sawtooth mountain range near Sun Valley, Idaho. The uppers on the Sawtooth feature nubuck leather with pockets of mesh across the side and toe. This style provides a good balance of protection from sticks and rocks while still allowing for decent breathability. The mid-height cut provides good ankle support though it could allow more debris to enter the shoe in comparison to the Nucleo which has a high-cut design. It also features BDry waterproof lining, which performed the best of the boots tested at keeping feet dry and warm. It also scored the highest in protection due to the burly and durable outsole, which protects from sticks and stones poking through the bottom of the boot. The biggest weakness of the Oboz Sawtooth is weight. It feels the clunkiest of all the boots in this category, and that can add up over miles of hiking. In terms of actual weight, the Vasque Breeze weighs in at just an ounce heavier, but the weight of the Sawtooth was much more noticeable. Manufacturers Weight 2 lb., 1 oz.